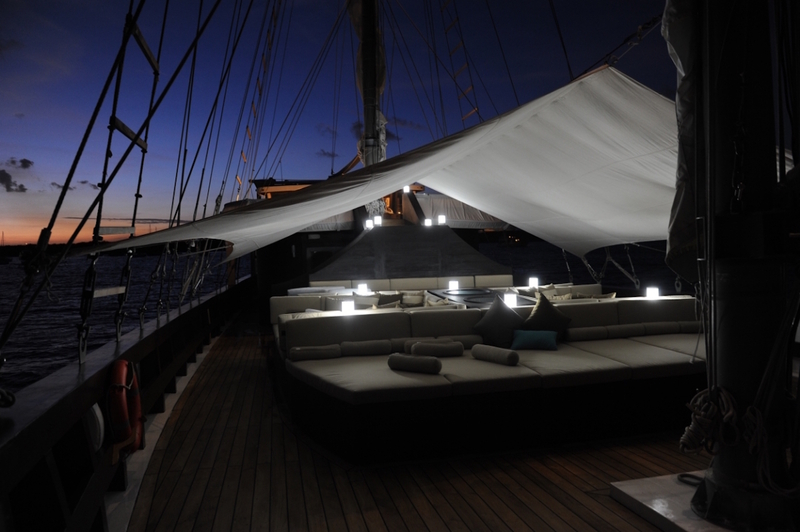 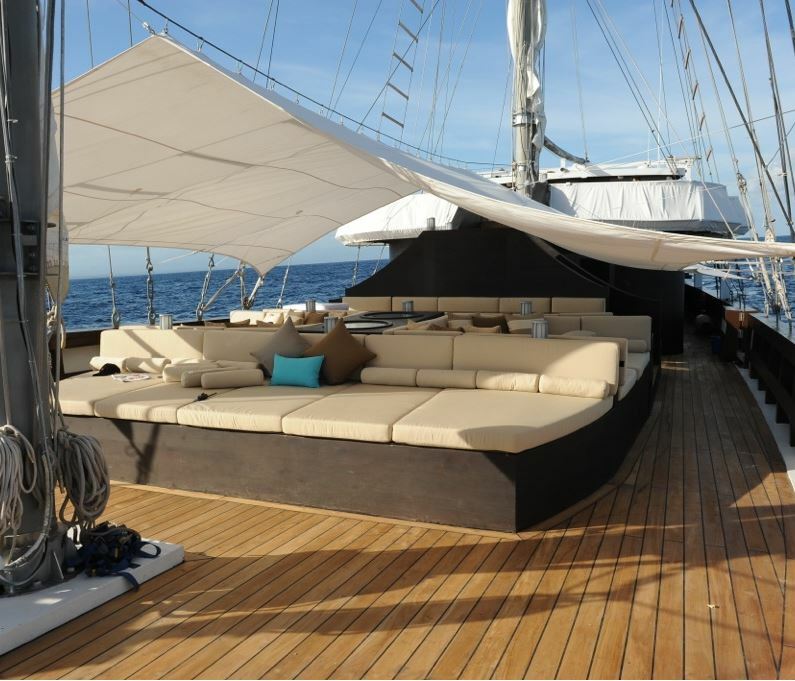 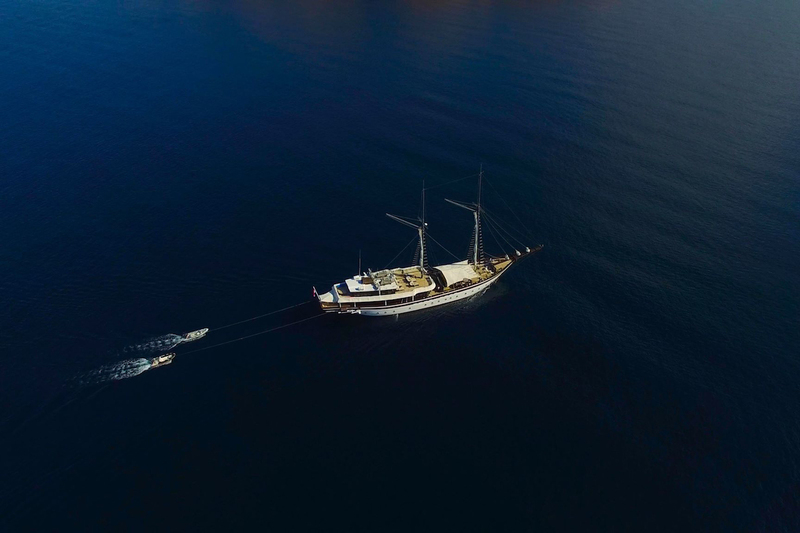 Launched in 2013, luxury superyacht ZEN is a gorgeous Phinisi Schooner. 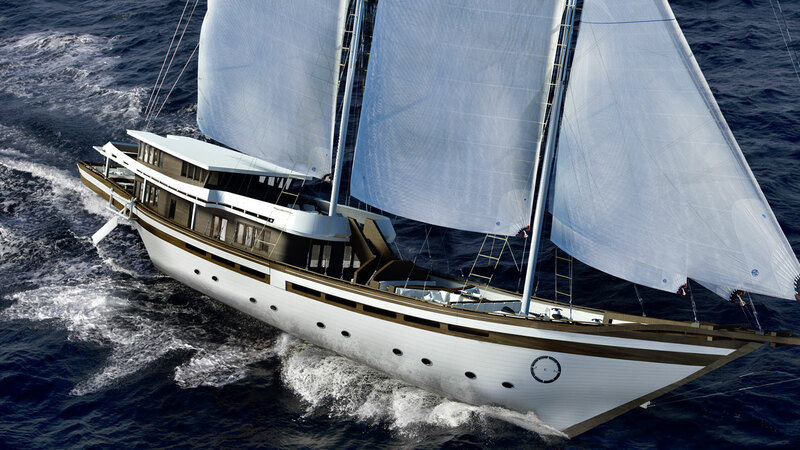 The 53m sailing yacht ZEN is the result of collaboration between the Global Adventure Group Ltd., and Zygmunt Choren, the famous designer and builder of many of the world’s best known tall ships, with interior design by Digital Effect Design Studio from Poland. 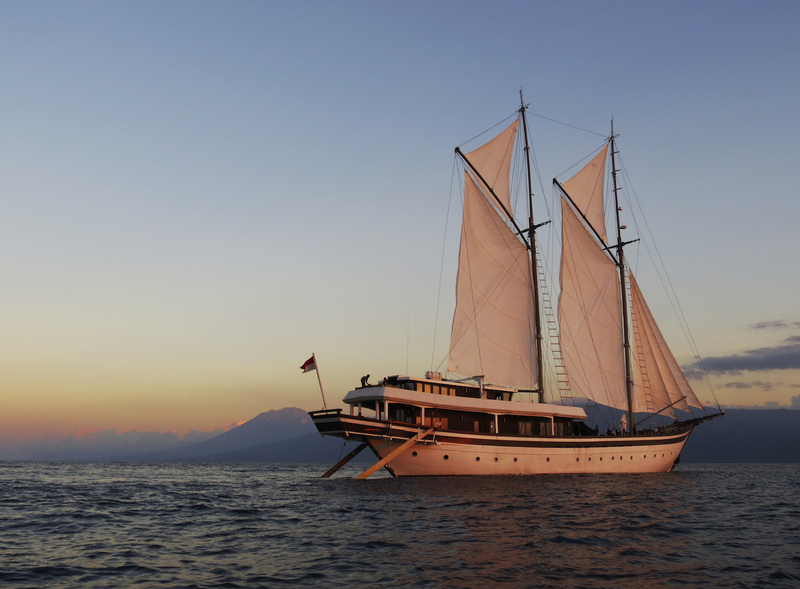 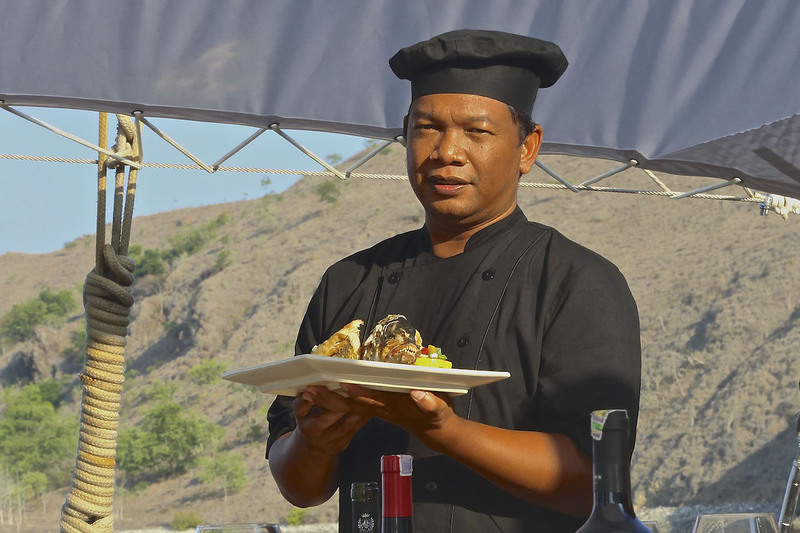 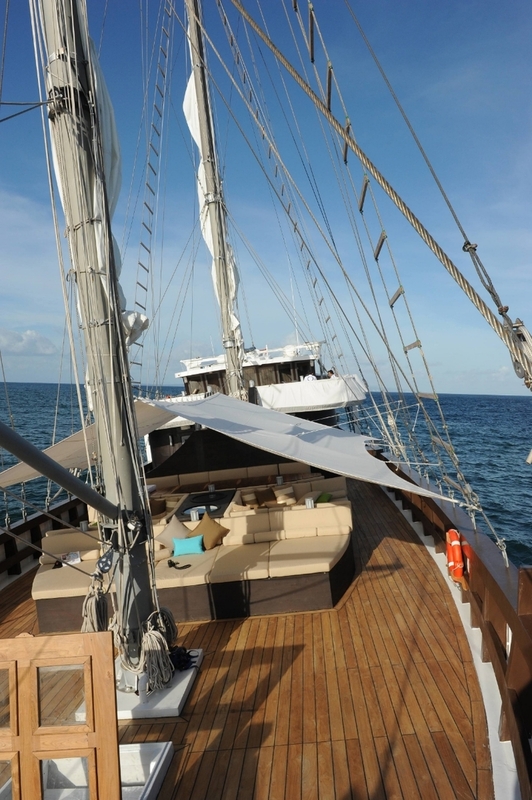 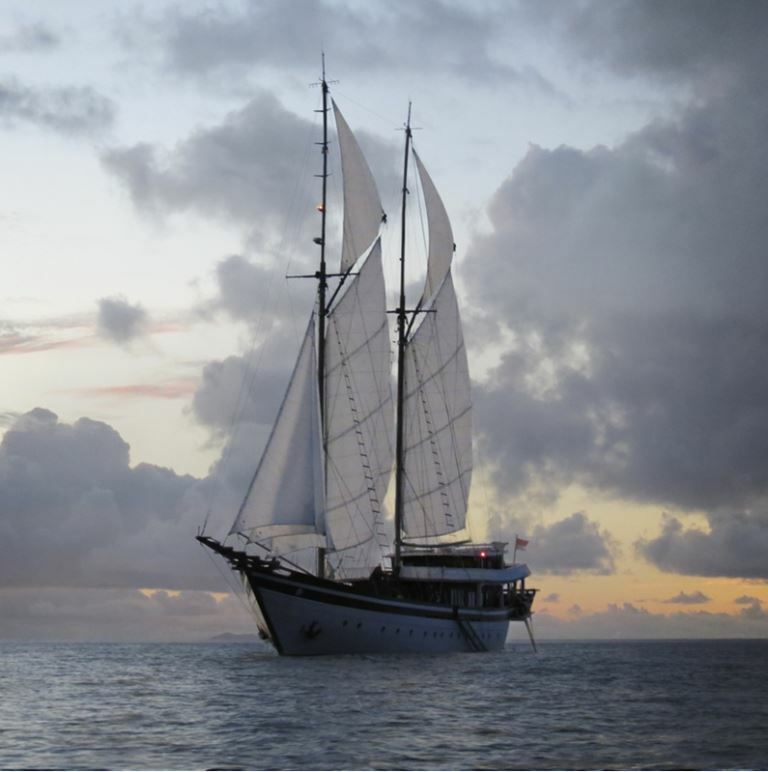 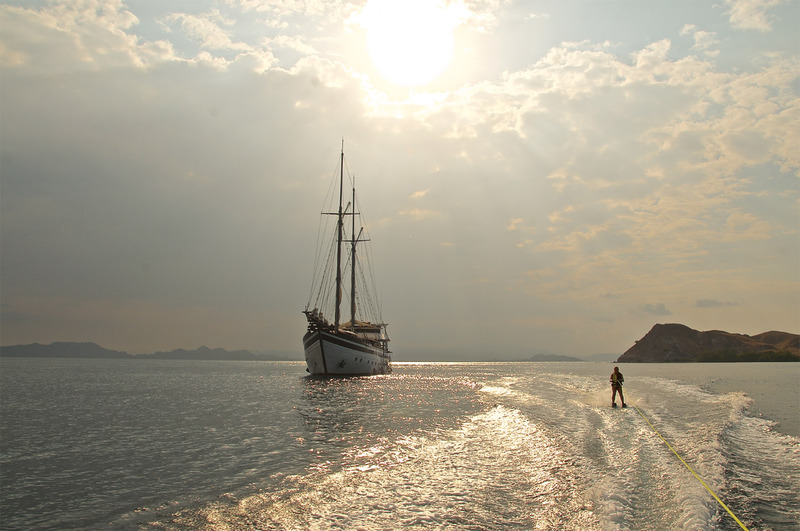 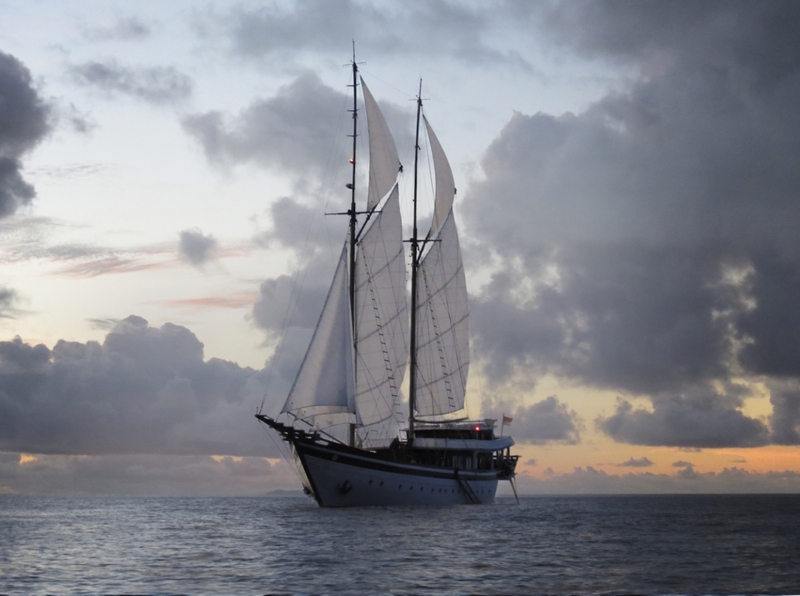 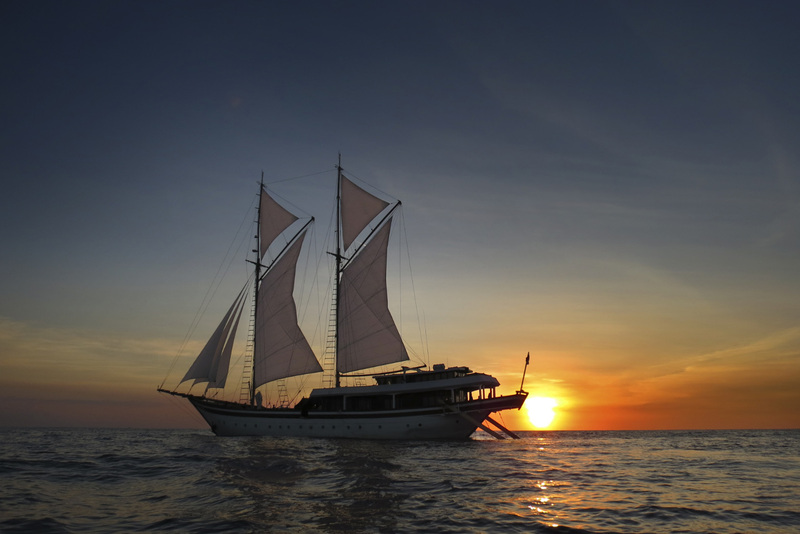 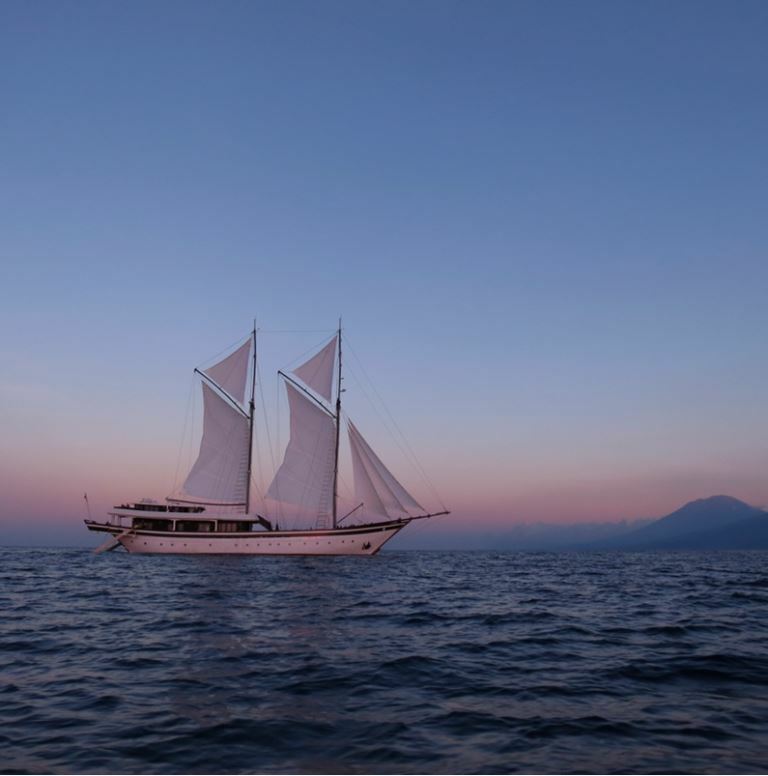 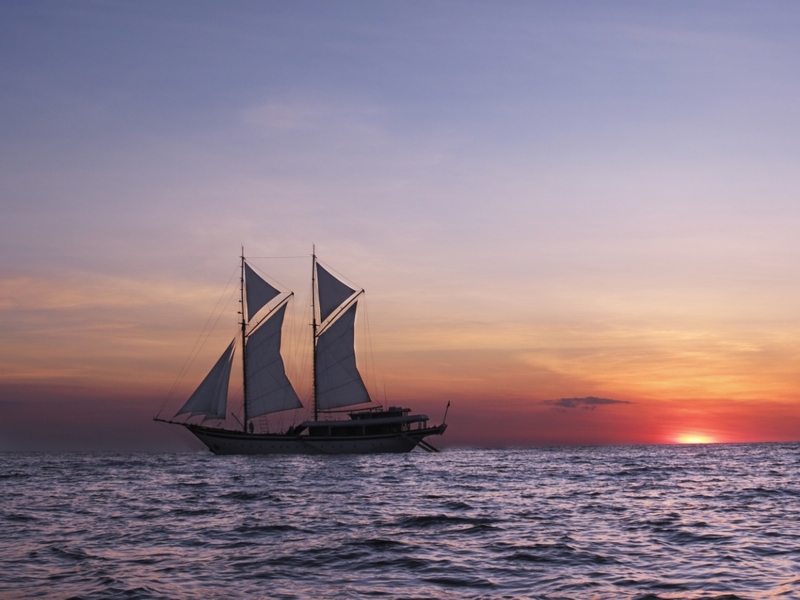 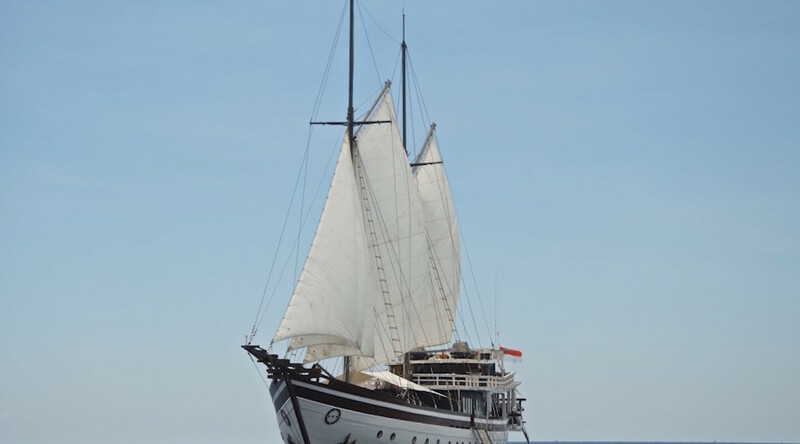 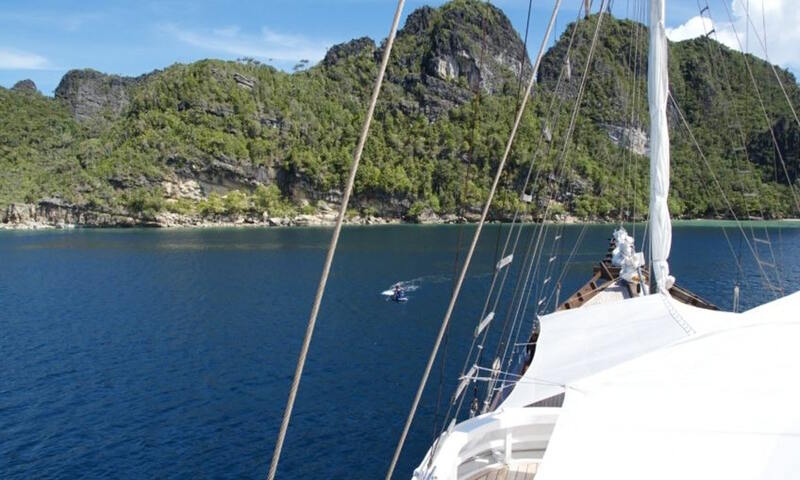 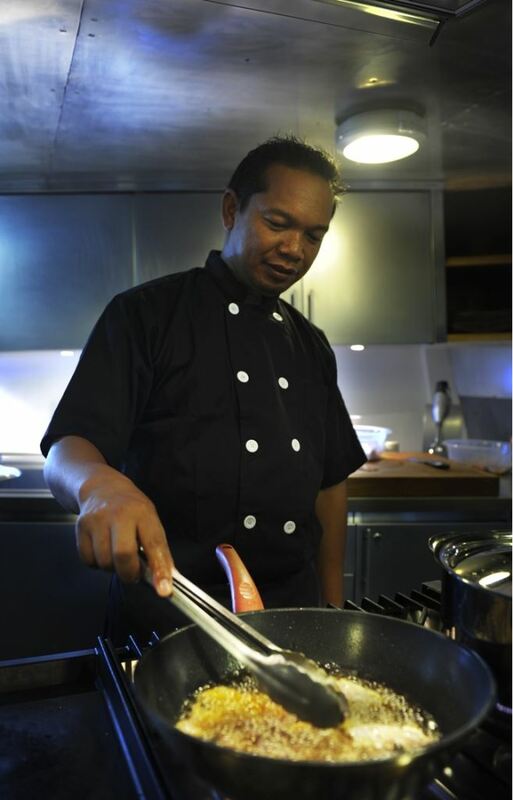 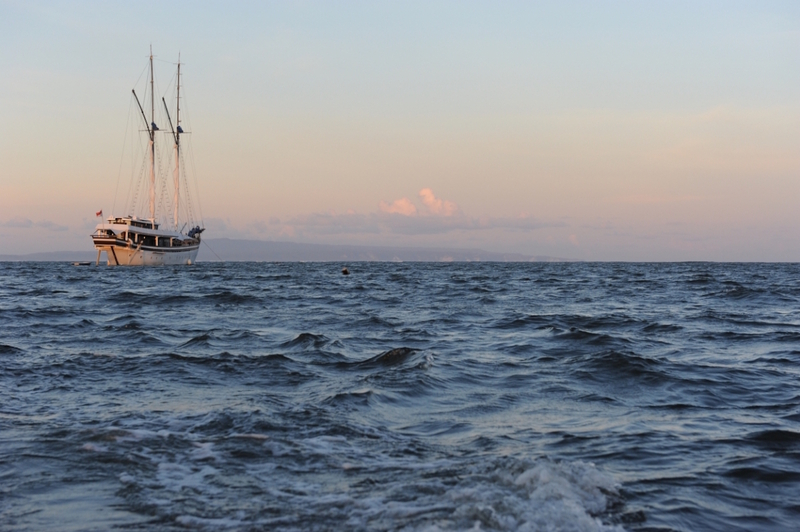 The Phinisi Schooner ZEN captures the spirit of Indonesia and offers a unique opportunity to experience her beauty. 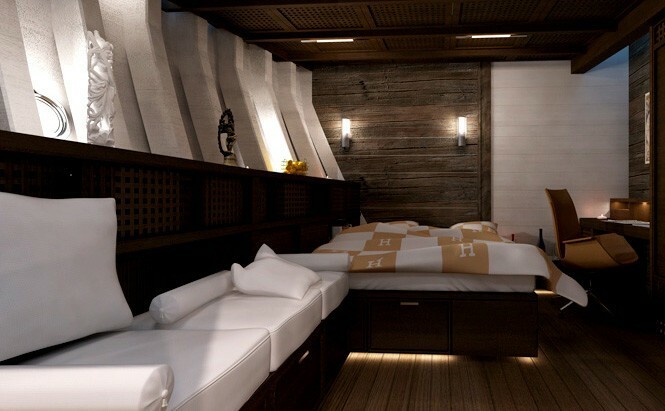 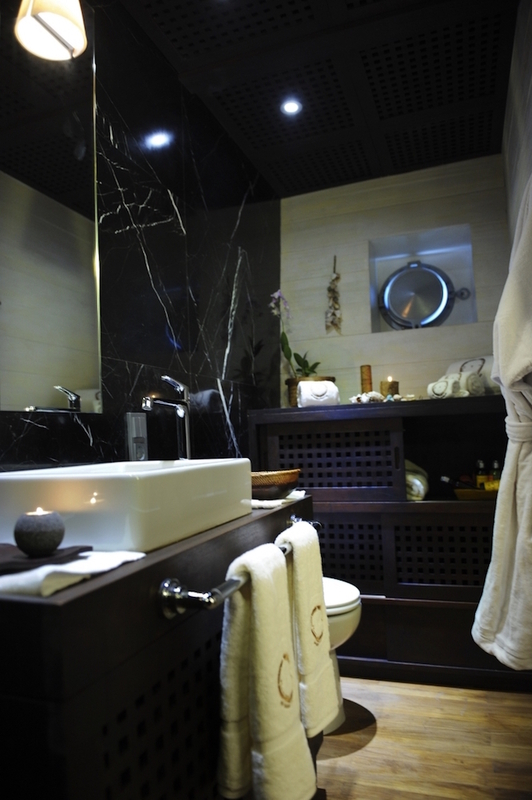 Charter yacht ZEN is furnished with the finest interior fittings while retaining her traditional lines, creating a sentimental return to the classical Asian sailing vessel. 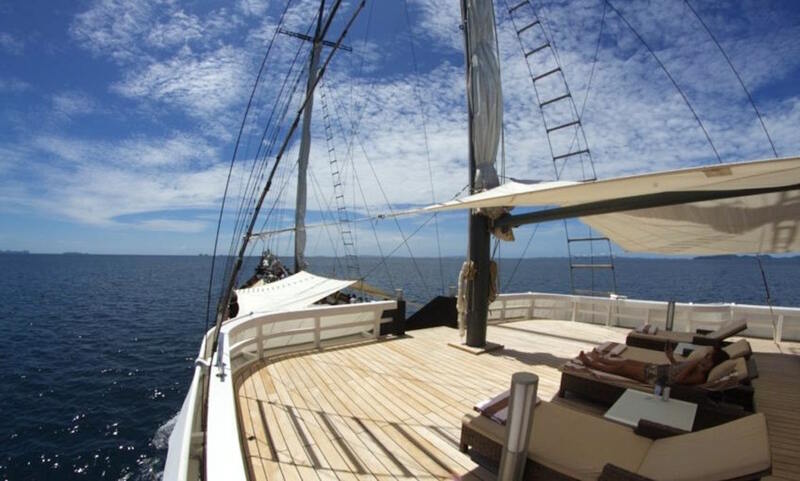 Broad lines and a wide beam provide considerable space for her standing rig of two domineering fiber-carbon masts, topsails and four jibs. 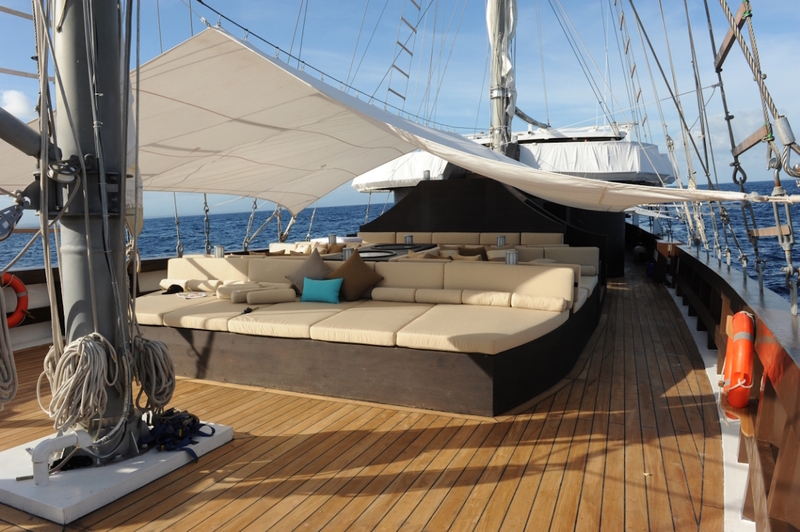 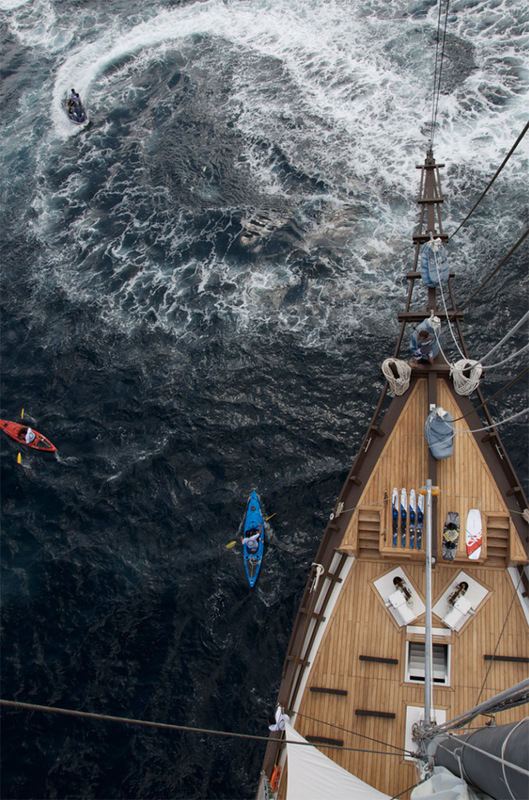 Her running rig supports fabric carrying 650 square meters of sail, all flying over the dark-wood interior and golden teak decks. 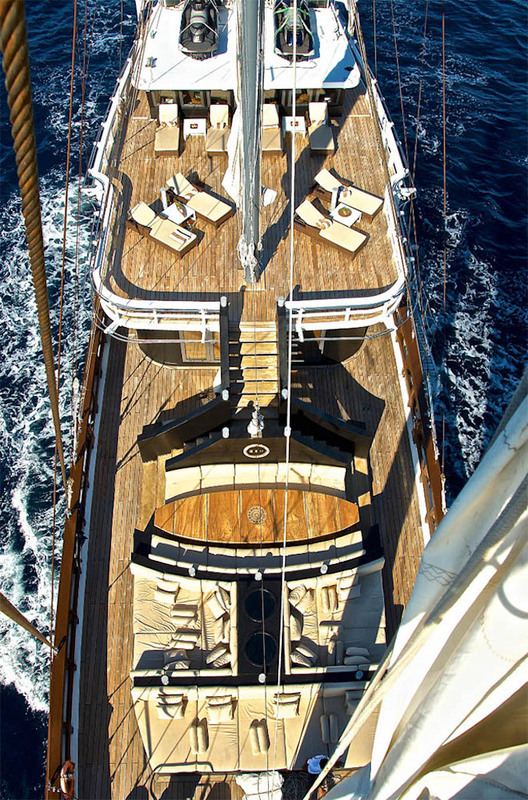 Although the external shape of this yacht presents an untouched classic feeling, the interior of the ZEN sailing yacht is an example of absolute luxury in design. 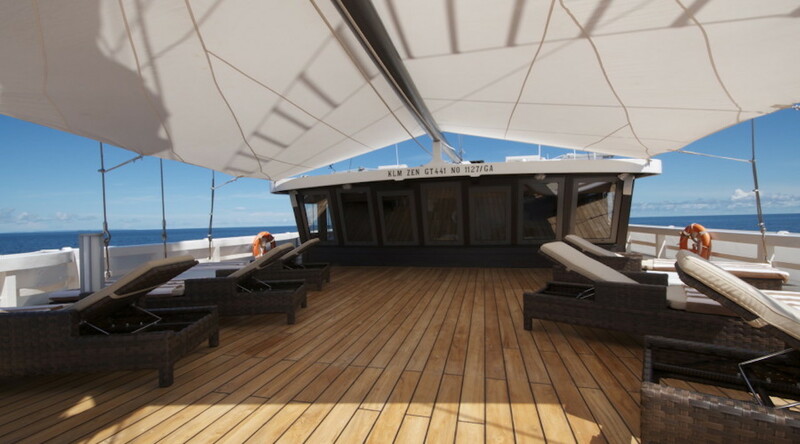 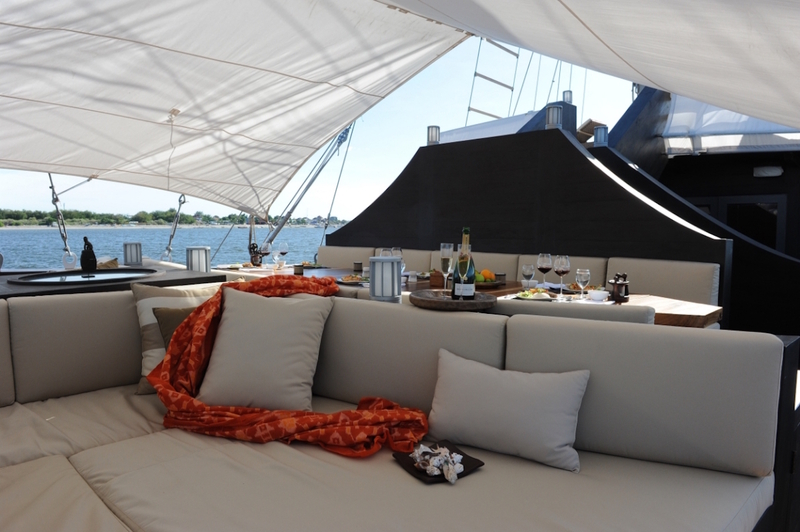 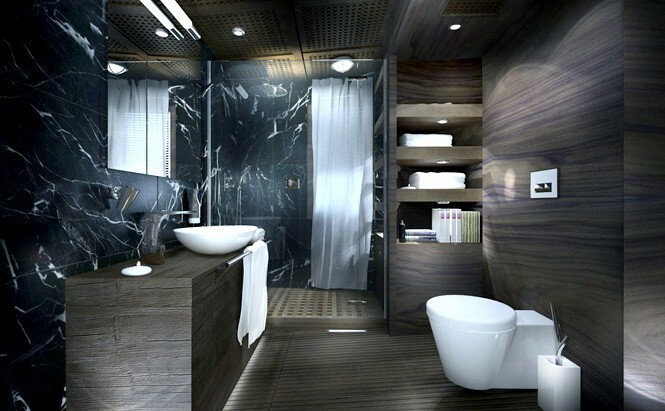 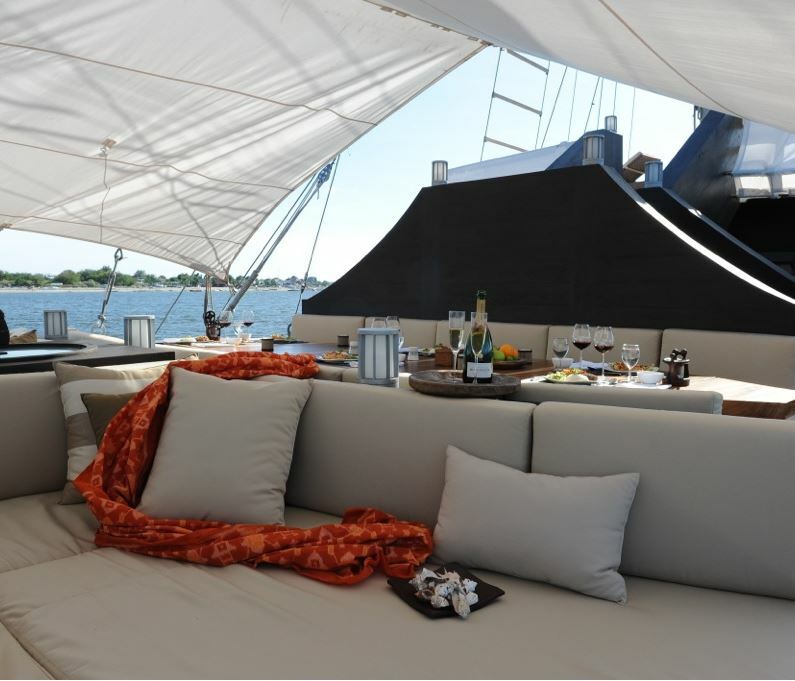 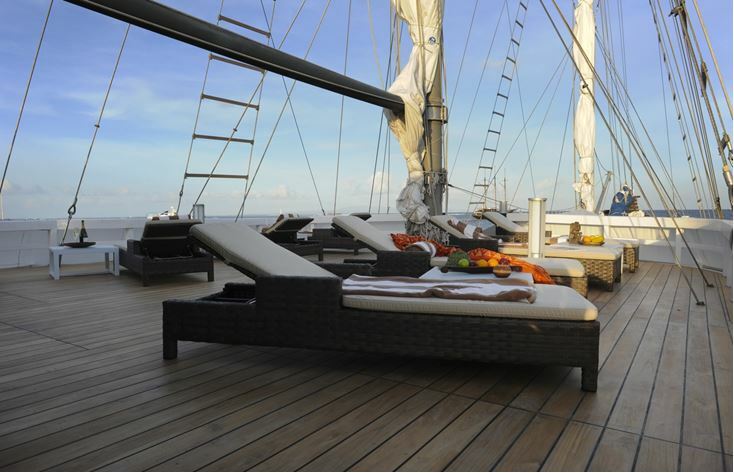 Superyacht ZEN provides luxurious accommodation for 16 charter guests in 7 staterooms. 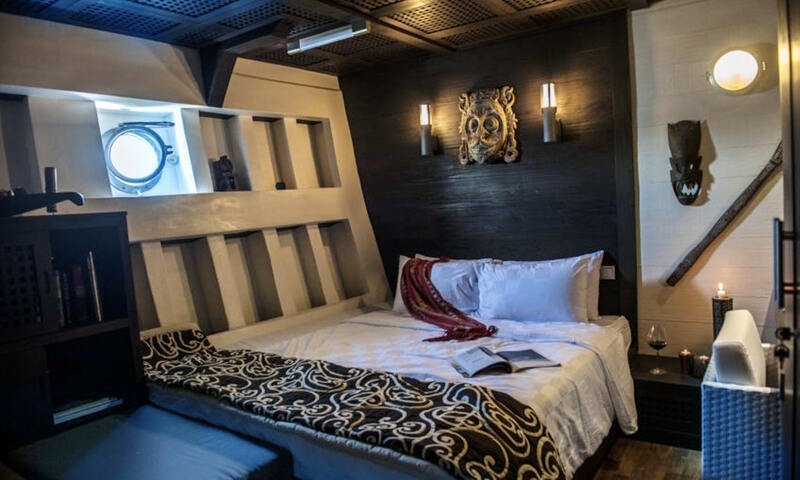 Her generous owner’s cabin is a two-level suite with adjoining children’s room, and there are a further 5 guest staterooms with queen beds. 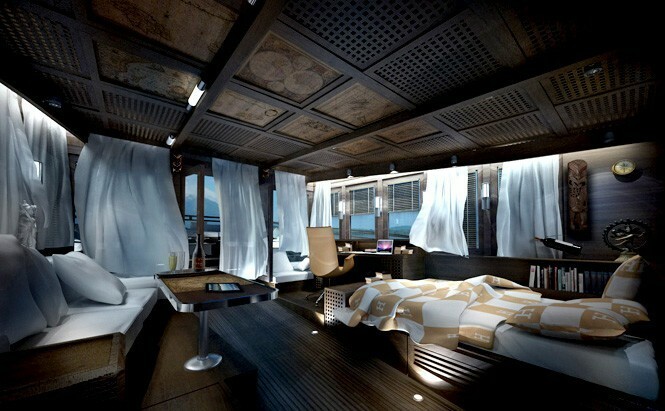 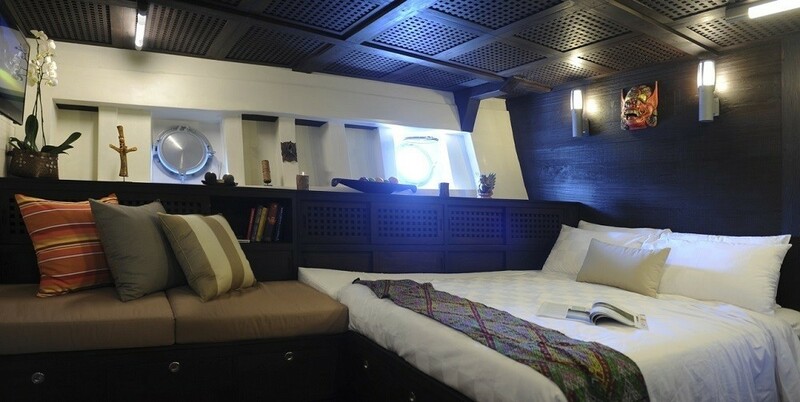 There is also space for the vessel's attentive crew, sleeping in a captain's cabin and two crew cabins. 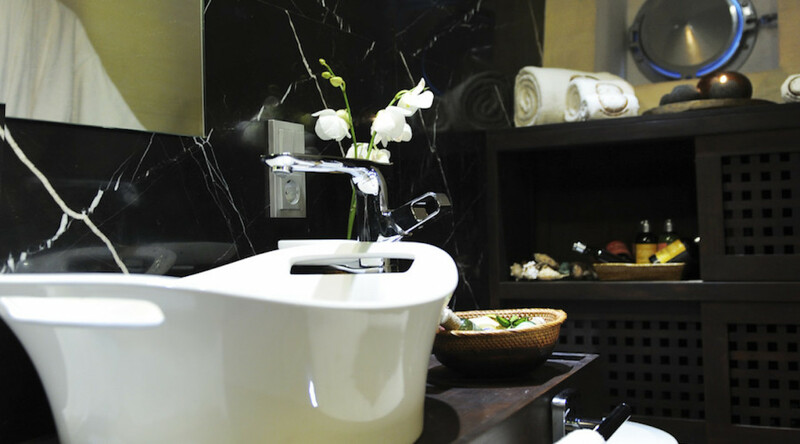 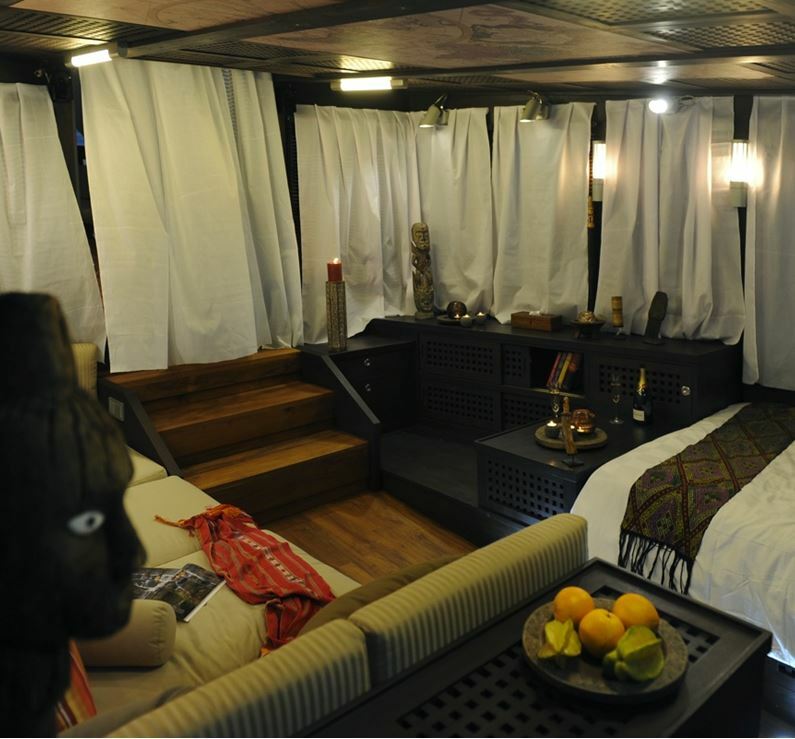 The rooms on board sail yacht ZEN are decorated with sculptures, ornaments and low relief carvings originating from the cultures of Asia, Polynesia and Maori Islands. 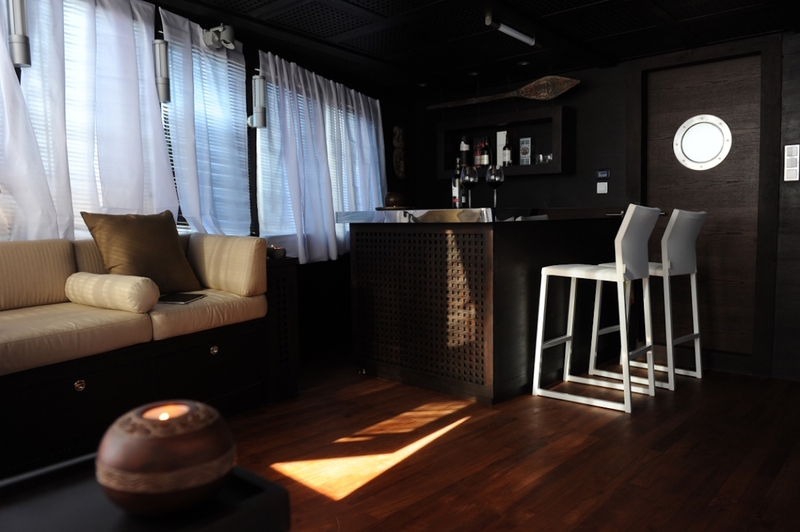 Bright furniture lightens up dark, wooden interiors creating a unique atmosphere. 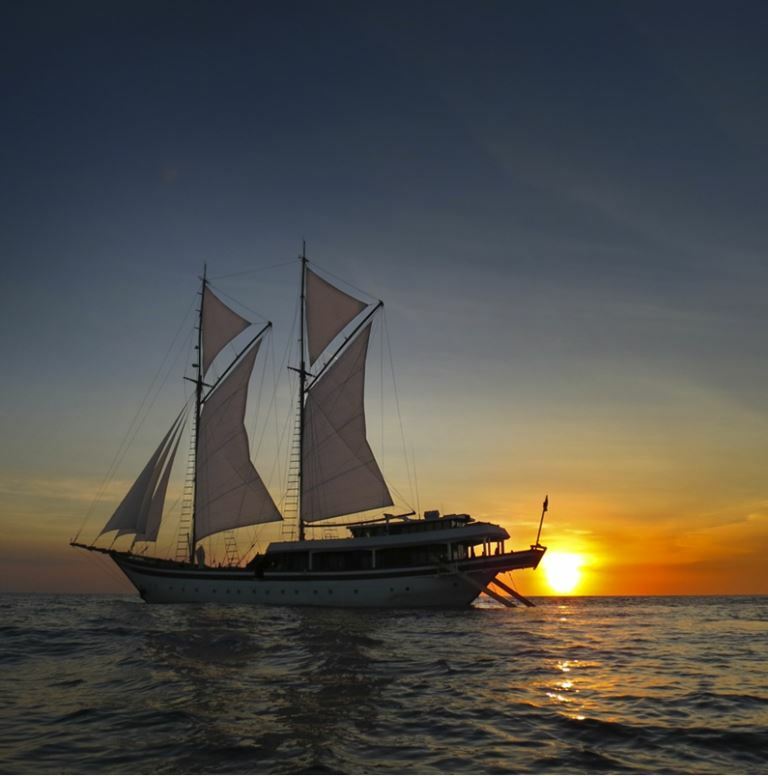 The Zen Phinisi Schooner is an example of the rare artistic craft. 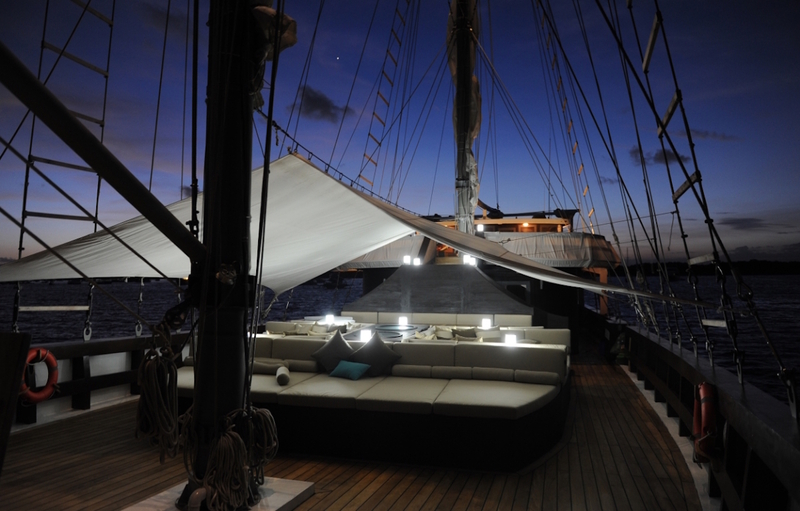 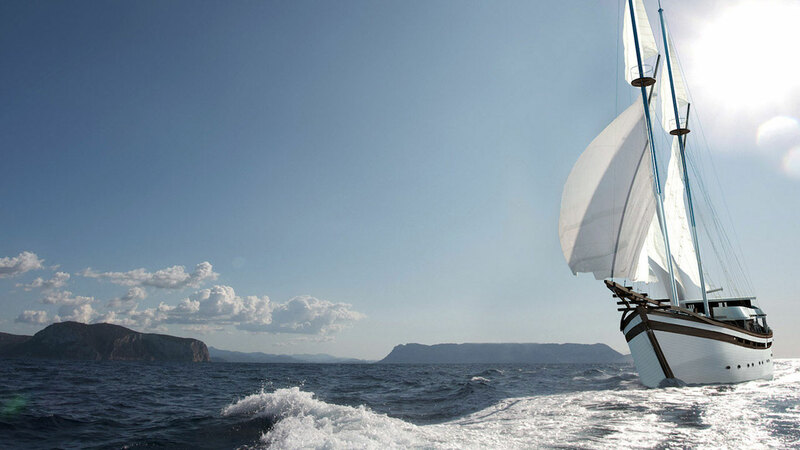 The hand-made yacht is a model masterwork and a product of the centuries of experience. 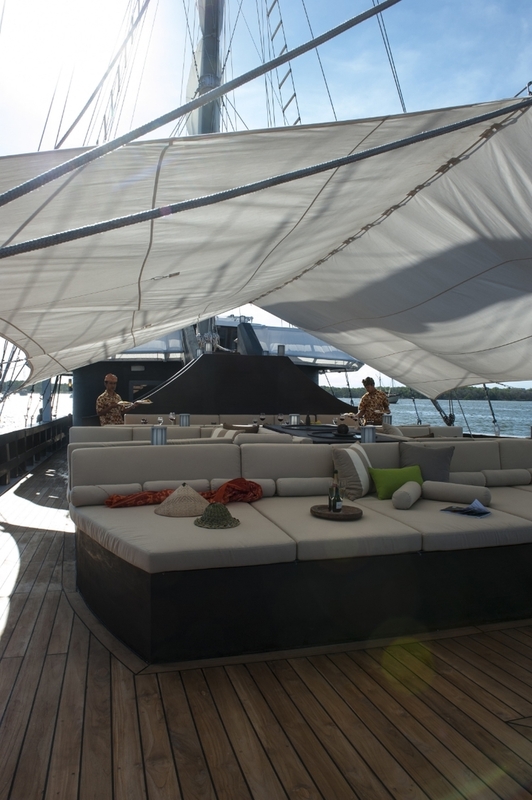 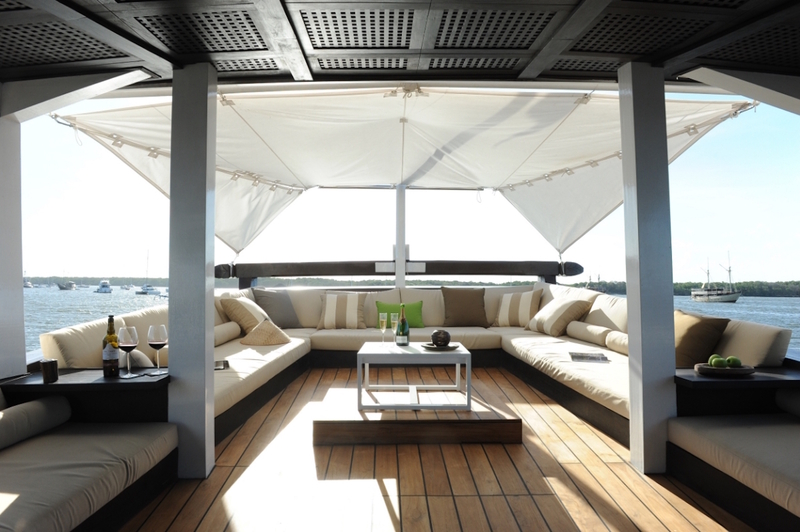 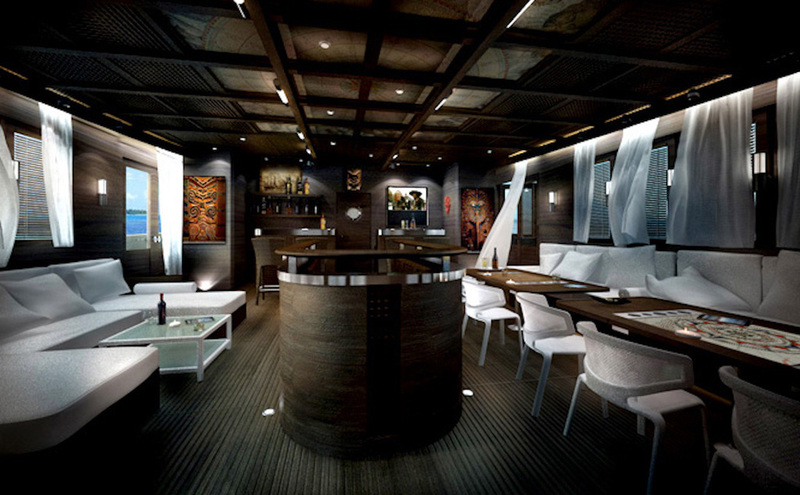 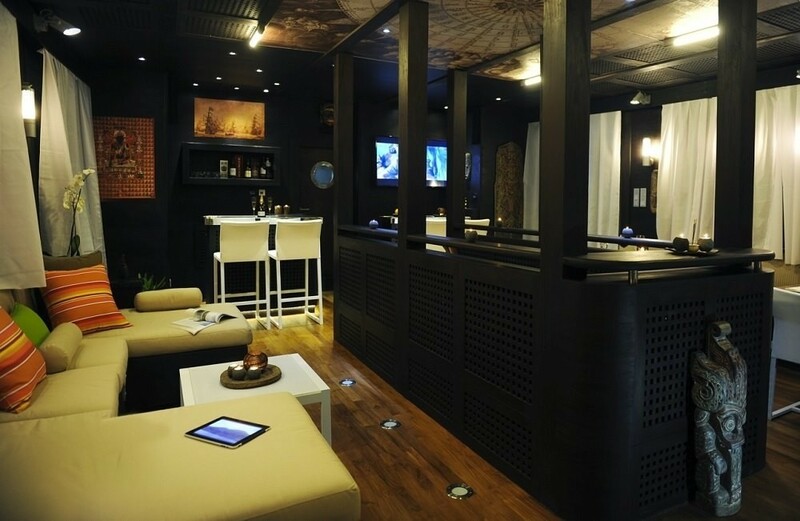 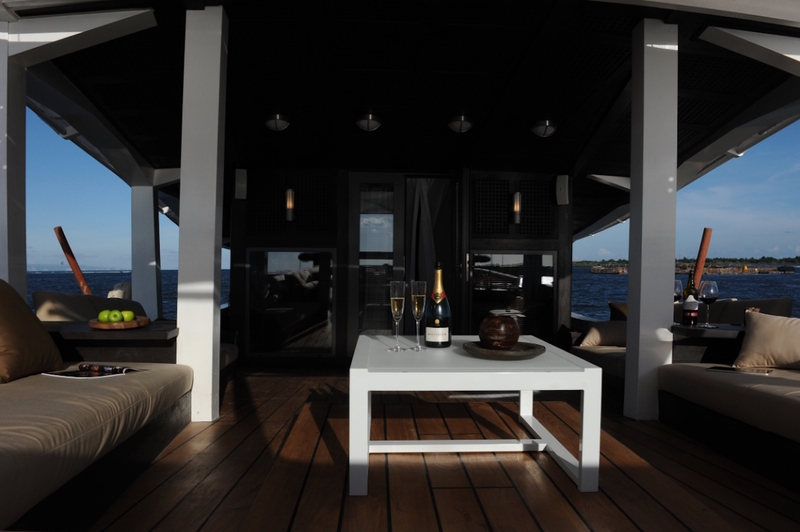 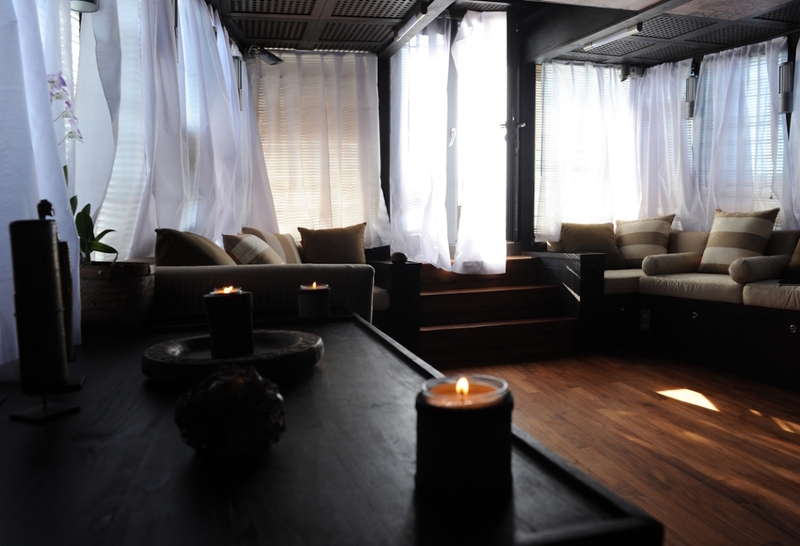 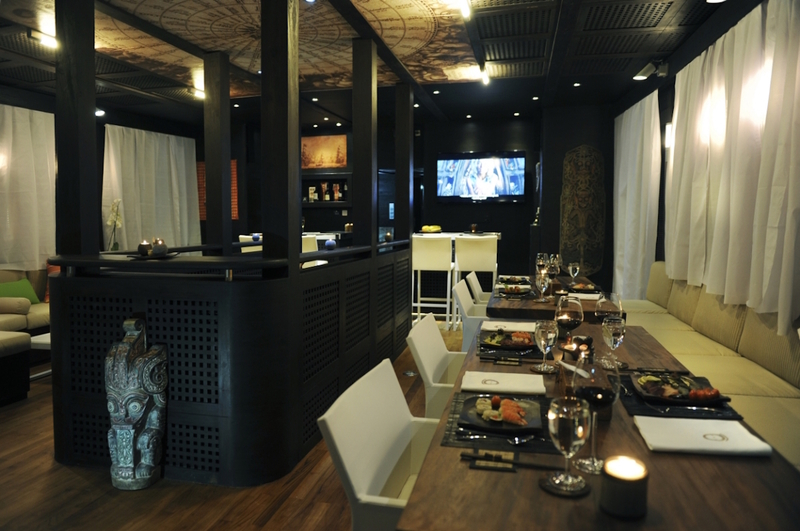 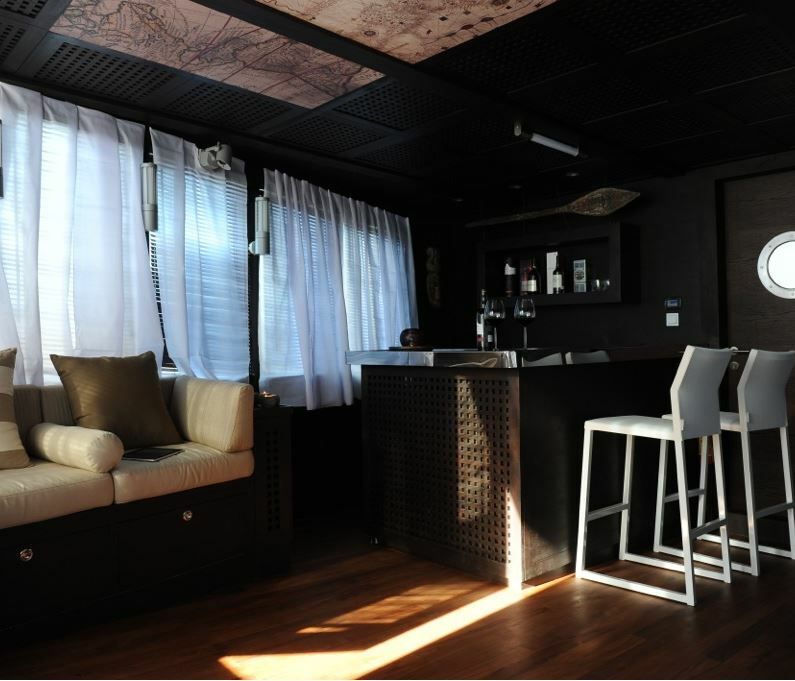 The yacht ZEN boasts a beautiful salon and dining area with bar as well as plenty of deck space for relaxing and dining al fresco. 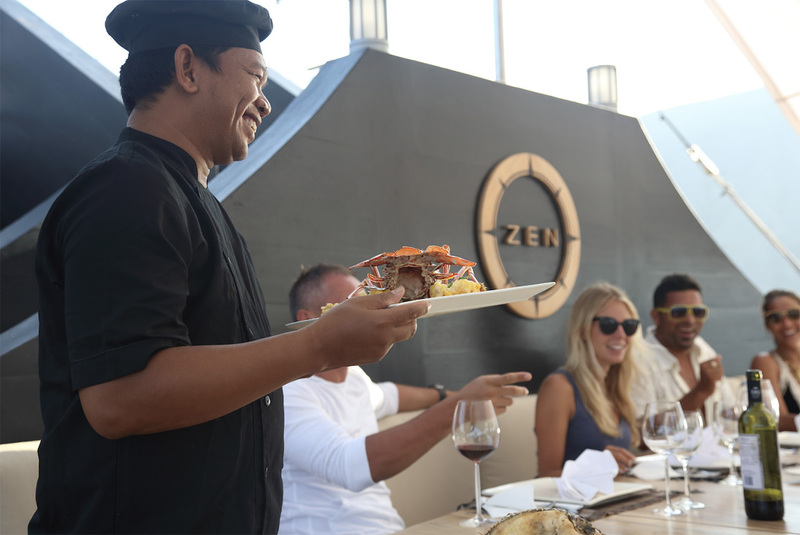 Luxury yacht Zen is also fitted with a wide range of tenders and water toys, including two Zodiac tenders, two Yamaha WaveRunners jet skis, as well as snorkelling, diving, water skiing and wake boarding. 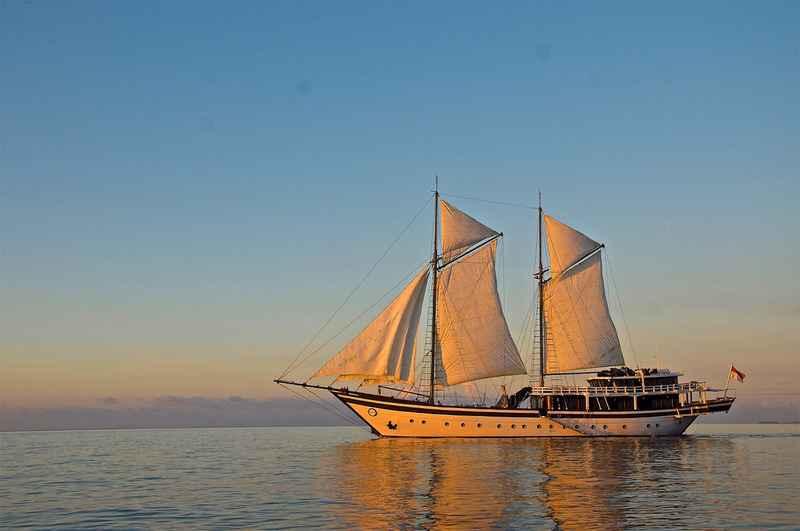 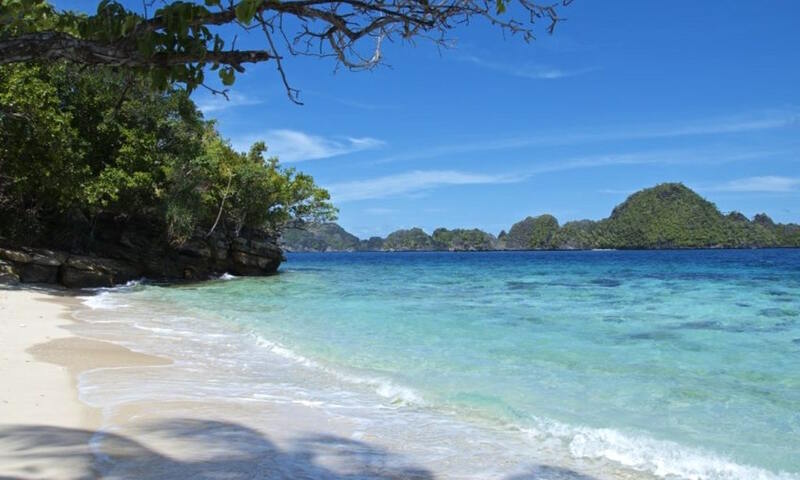 Indonesia is famous for the production of the well-known Schooners in the southernmost tip of the orchid-shaped island of Sulawesi. 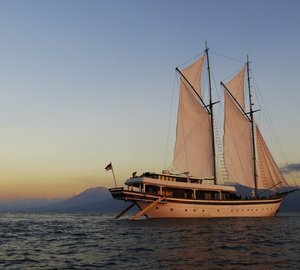 Some people say they are modelled after old Portuguese and Dutch vessels and others say the ships are unique to the Konjo Builders, South Sulawesi. 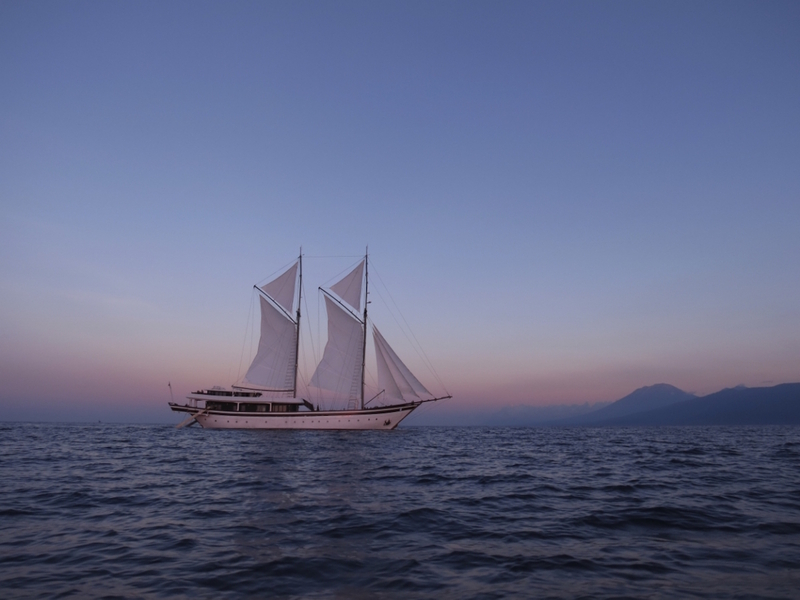 In Indonesia, people still call them Phinisi. 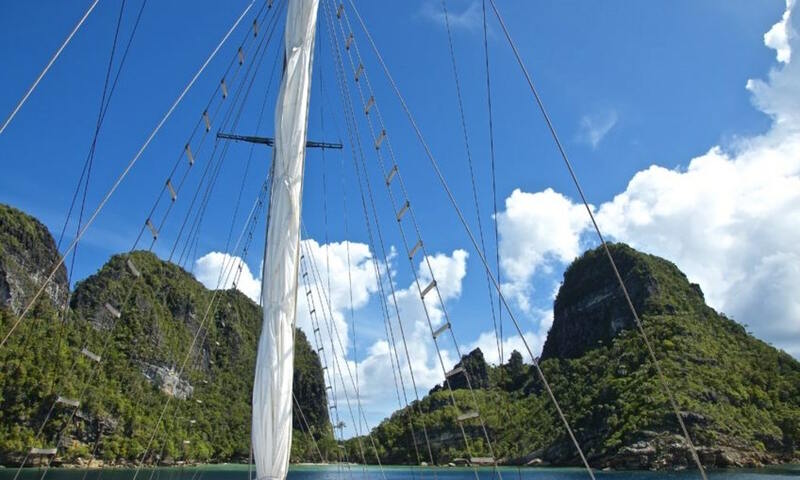 The travellers can immerse themselves in luxury on board, as well as spend time actively on land and in water, diving in the sea to admire one of the most beautiful coral reefs in the world… or simply rest on virgin beaches, far away from tourist crowds. 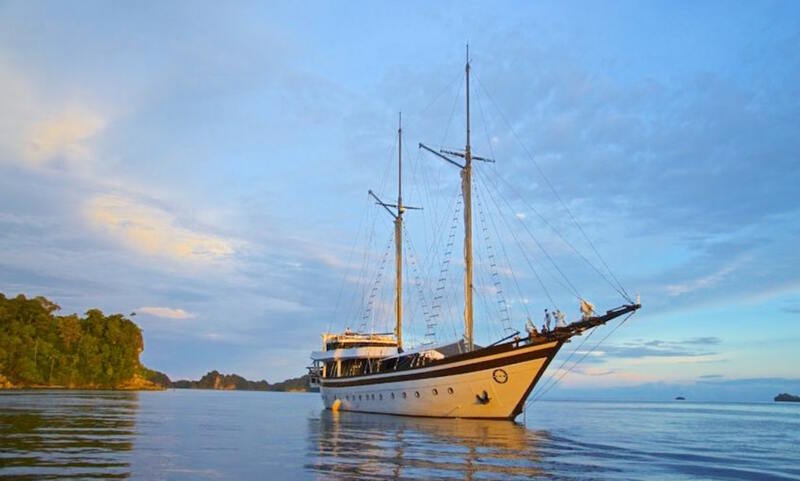 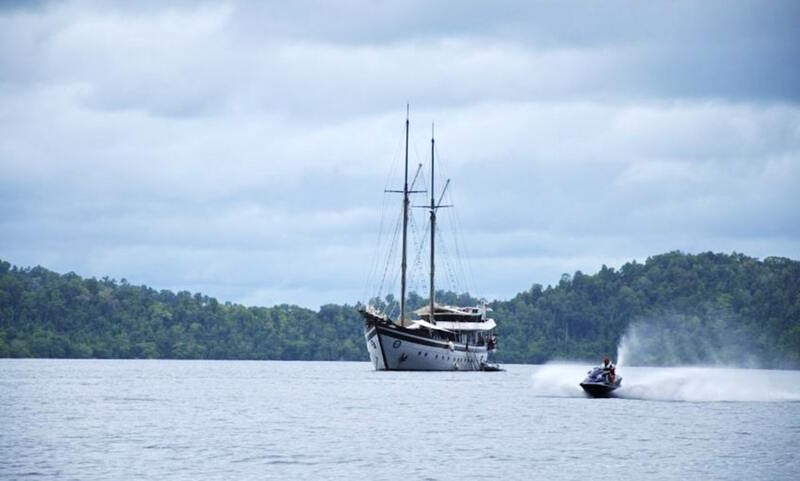 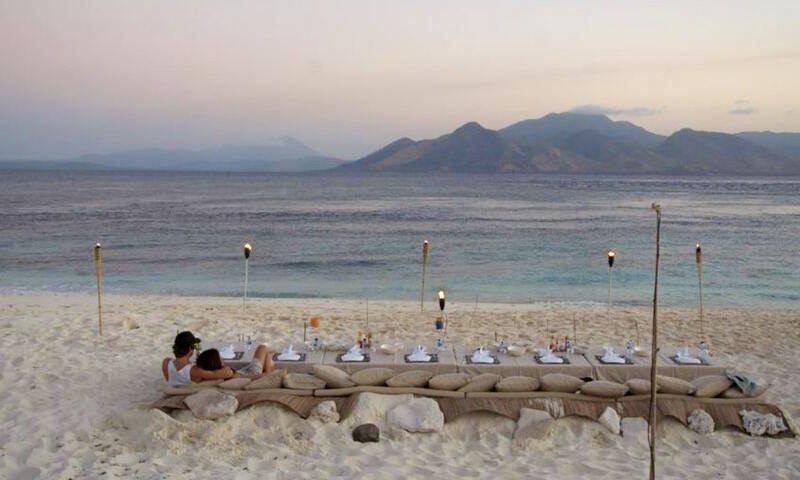 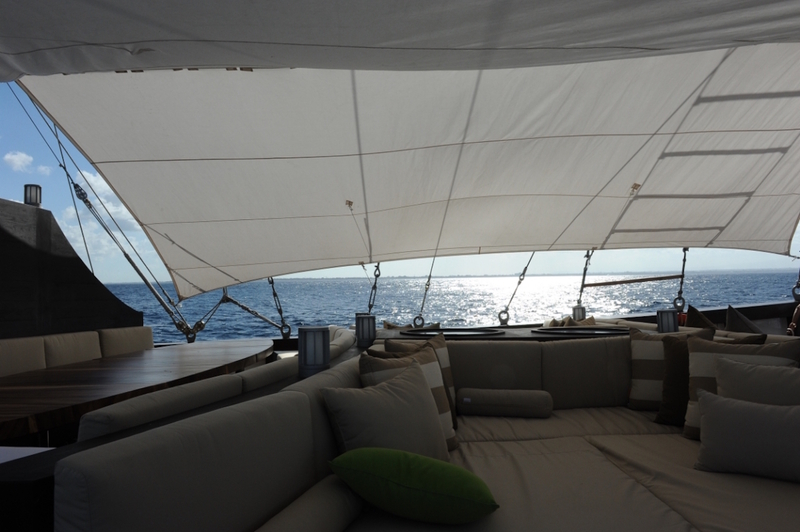 The ZEN yacht will be sailing mostly in Indonesian waters – Komodo Archipelago, Raja Ampat, Papua; but Thailand, Myanmar and Andaman Islands as well. 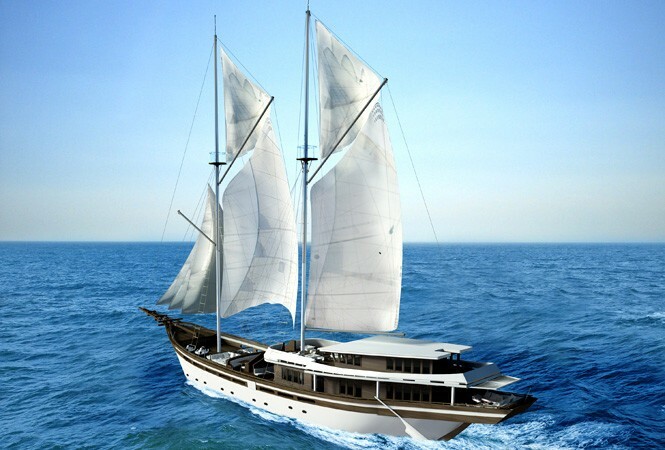 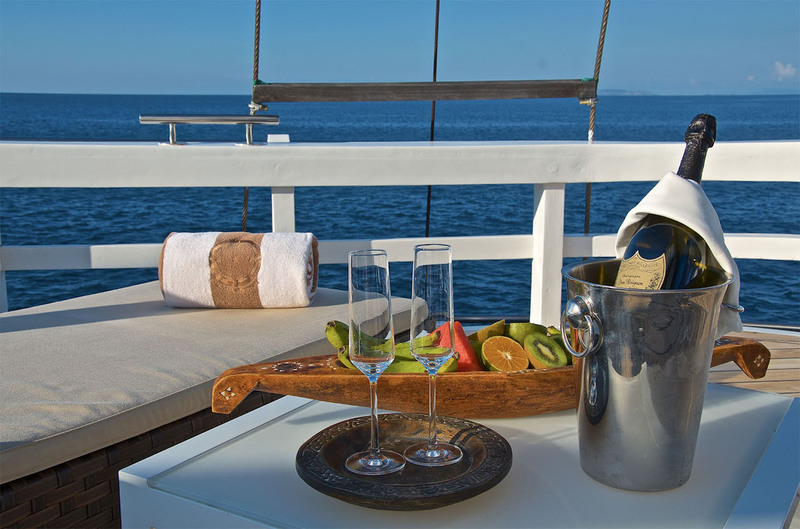 ZEN yacht can comfortably sleep 16 charter guests in 7 cabins including the magnificent owner’s two-level suite master cabin (48 sq m) with adjoining children’s room and 5 guest staterooms with queen sized beds (14 sq m each) with en-suite bathrooms. 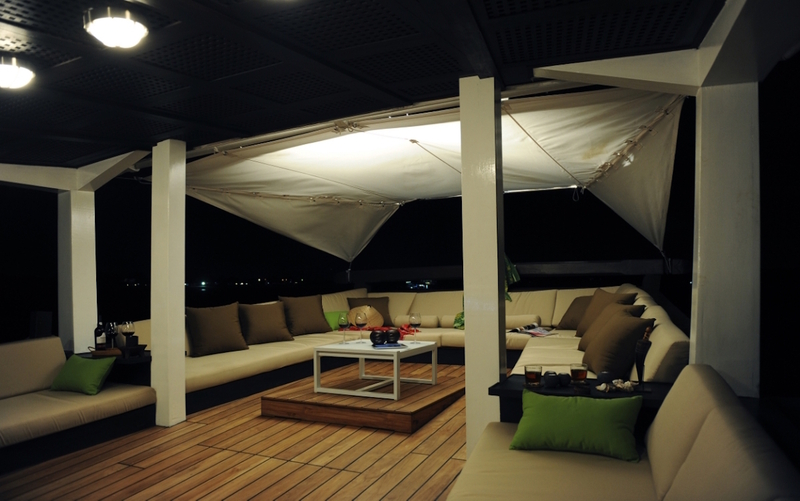 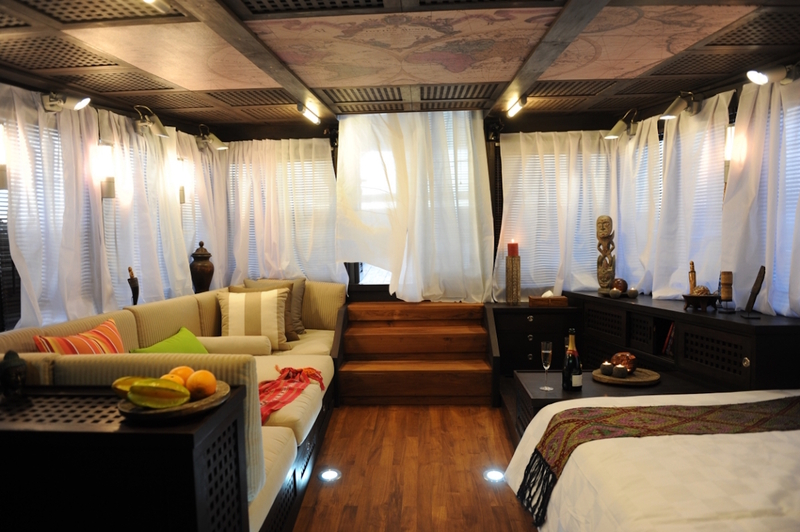 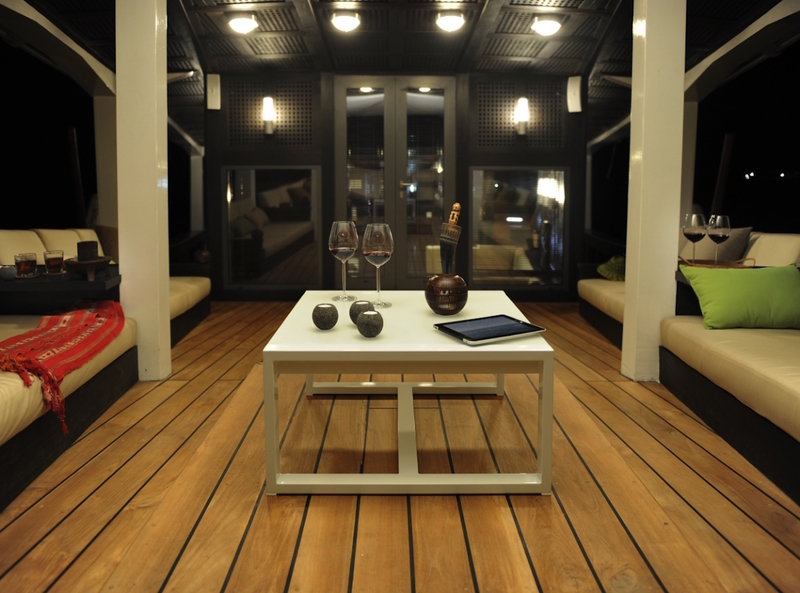 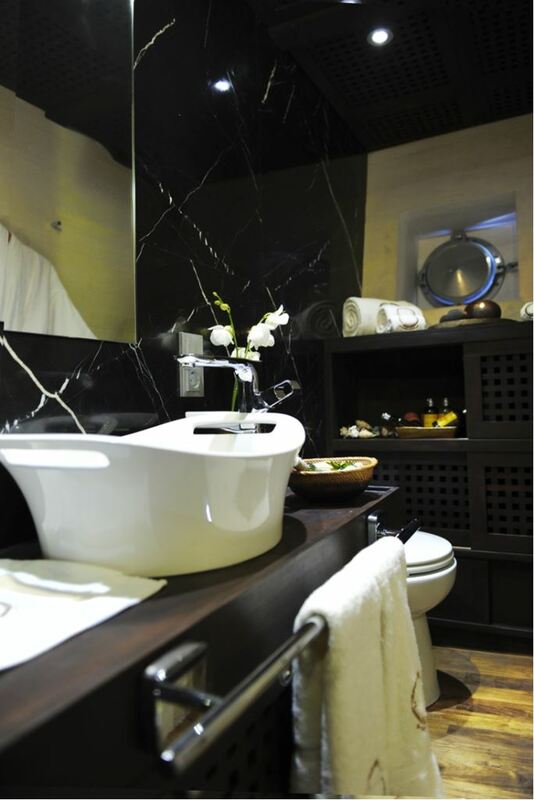 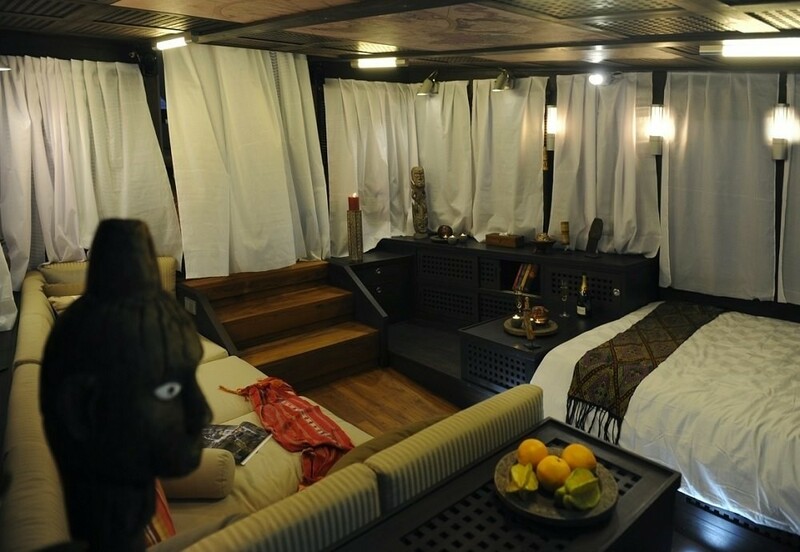 There is also accommodation for the vessel's highly trained crew, sleeping in a captain's cabin and two crew cabins. 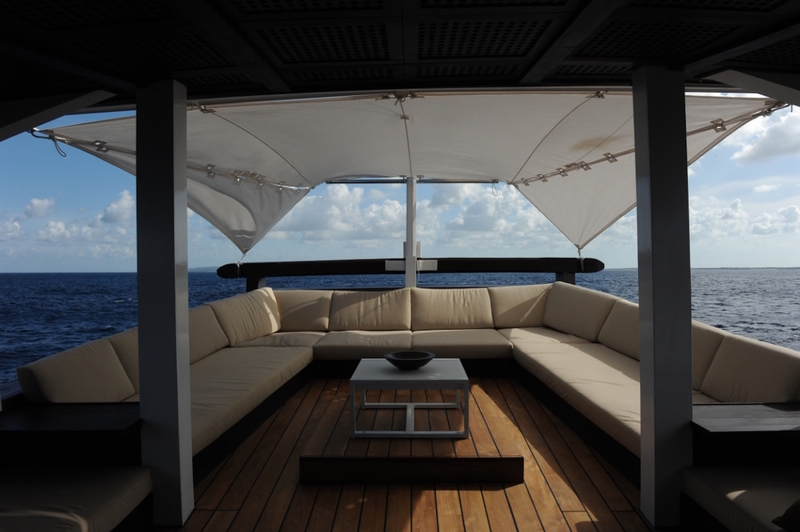 Luxury yacht Zen features a wide range of tenders and water toys for charter guests to enjoy including two Zodiac tenders, - 2012 550 Pro Touring 5,5m, Yamaha 40 hp twin engine, - 2012 GR MK III 4,2m, Yamaha 25 hp engine. 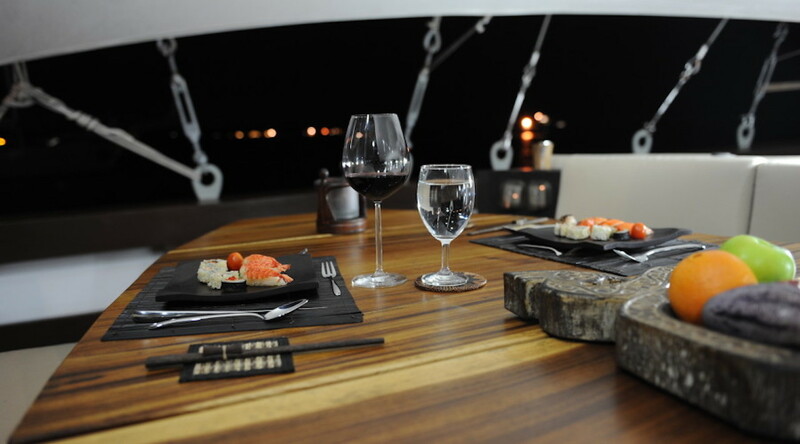 Two Jet Skis: - 2012 Yamaha Waverunner FZR, - 2012 Yamaha Waverunner FX SHO Cruiser. 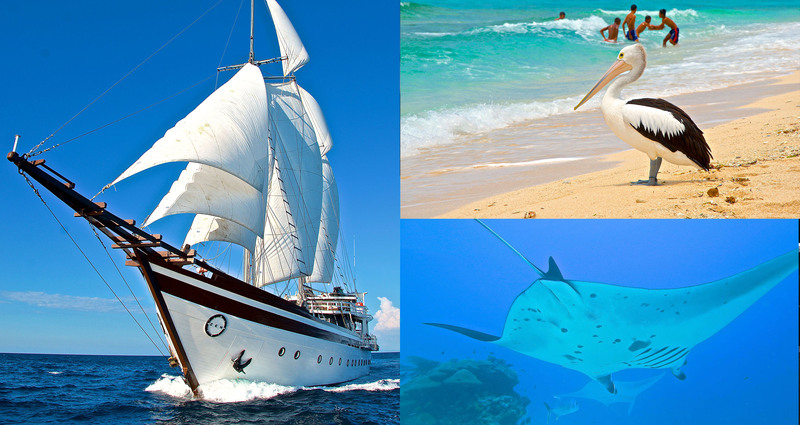 Diving Equipment: - 2 L&W compressors, - NITROX installation, - Tanks, - Complete diving sets, - Snorkeling equipment for all guests. 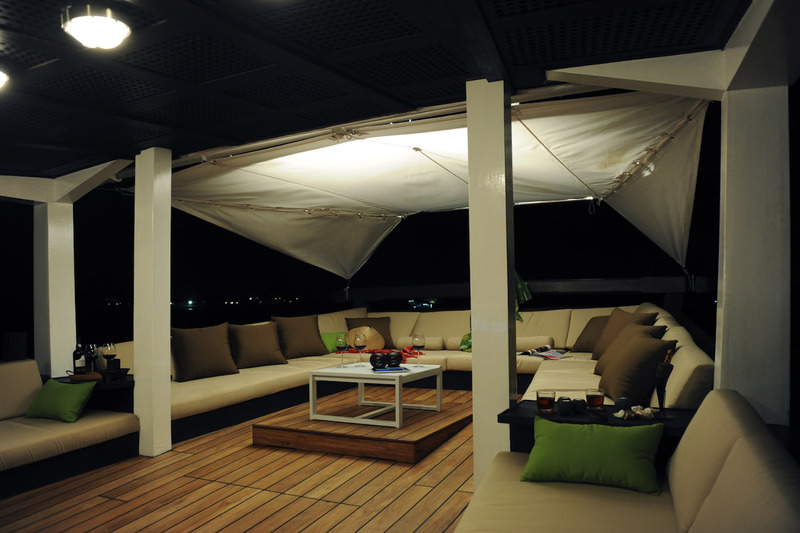 Rebound 16 Aquapark with I-Log, Bound Slide and Swimstep, Spitfire Extreme, Surfing boards, Wake boards, Kayaks. 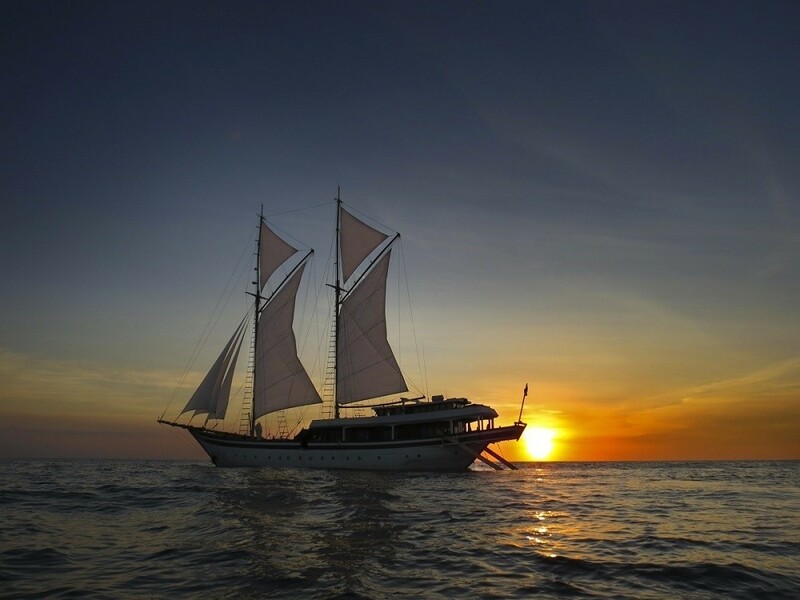 Navigation Equipment package includes a high and low frequency Sonar, GPS, Computer mapping, HF and VHF Radios, Radar, Satcomm, Weather Fax & Sat Phone, etc. 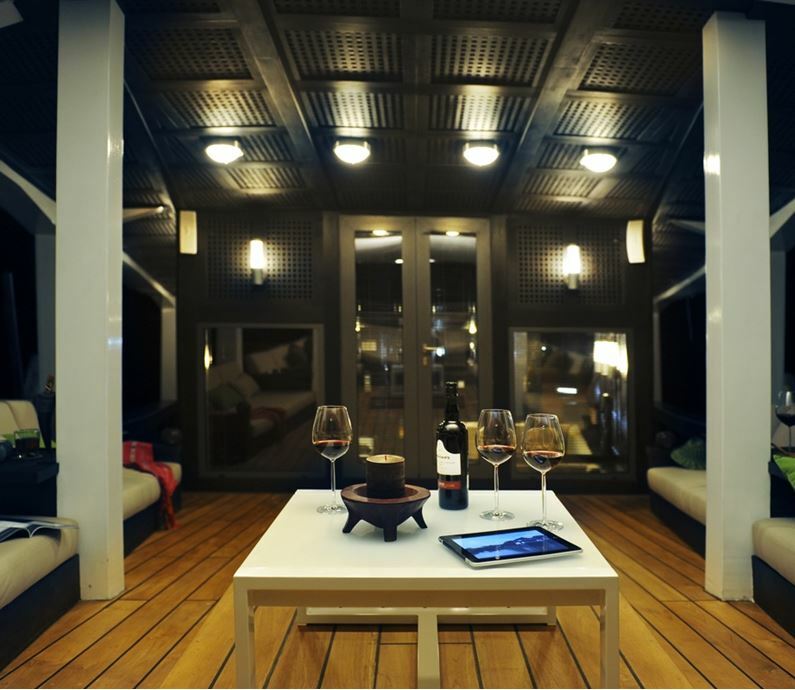 Wi-Fi in each of the cabins.